Go Well Media is a digital media company that specializes in narrative audio wellness programs. Through a partnership with CoreHealth Technologies, a leading corporate wellness platform, Go Well programs will be available to more than 1,000 organizations around the globe – including Fortune 500 enterprises, wellness vendors, health insurers, benefits brokers, and HR consulting firms. Go Well develops online streaming audio programs for corporate wellness and population health. 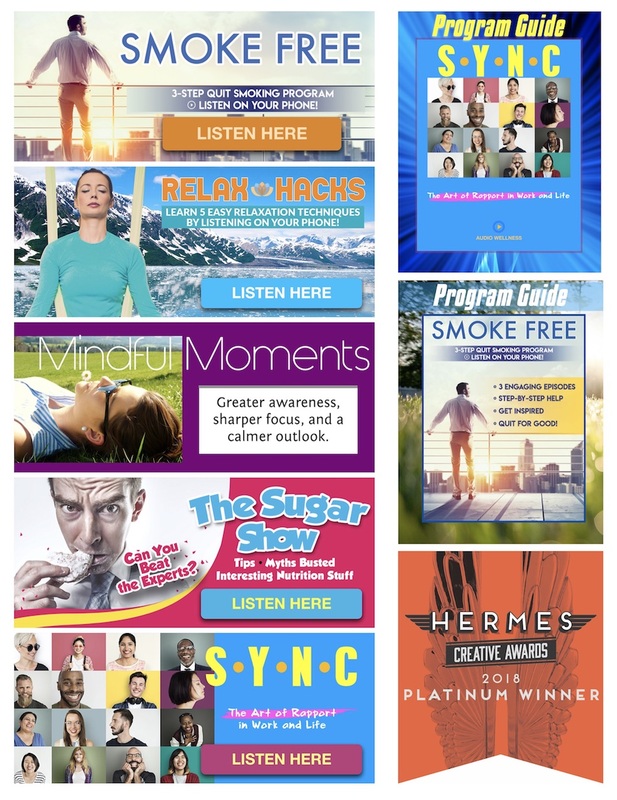 The company leverages the unique benefits of audio to deliver personal trainers, fascinating experts, life-skill programs, meditation and relaxation techniques, quiz shows, and stories about personal transformation. Learn more at http://www.gowellmedia.com. CoreHealth Technologies Inc. is the leading corporate wellness platform trusted by wellness providers for 2+ million employees worldwide. At CoreHealth, we believe that developing the best employee wellness programs is all about giving wellness companies the right code, design and access to the latest innovations. With the most customization, integrations and reliability of any software in its class, CoreHealth’s powerful platform lets users focus on growing great companies. For more information, explore the CoreHealth website at https://corehealth.global.